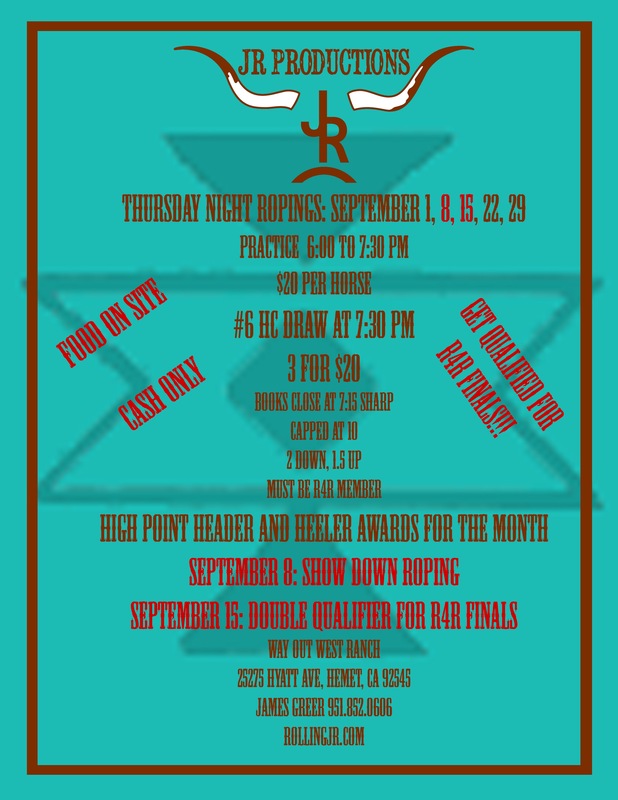 Get qualified for R4R Finals! Saturday Roping Under the Lights! Unfortunately we had to cancel this weekend’s show but we will still have a schooling show next weekend. We will have the pen, clock, and judge’s booth up to simulate a real show. So chap up and come school on FRESH Mexican steers!